Morning Star Brown: Violent crime on Indian reservations is up, but prosecutions are down. Crime is Slate’s crime blog. Like us on Facebook, and follow us on Twitter @slatecrime. The Bismarck, N.D. Tribune brings us the story of Morning Star Brown, a 30-year-old woman recently charged with killing her boyfriend’s cousin. Brown, a member of the Standing Rock Sioux Tribe, allegedly started drinking early this past Sunday morning. By the afternoon, according to an affidavit by an FBI special agent, she’d consumed the better part of a liter of whiskey. Her boyfriend, Skip Summers, says she then became “rowdy” and grabbed a knife. Soon, Summers’ cousin Jarrett Two Bear was dead of a stab wound, and Brown was in federal custody, facing a charge of second-degree murder. Summers claims that this stabbing wasn’t unusual—he told investigators that Brown had stabbed or threatened to stab him at least six times during their two-to-three-year relationship. 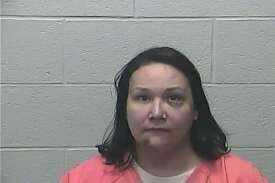 In April 2012, she was convicted in a tribal court of aggravated assault for one of those incidents. So, how is it possible that a woman convicted of a violent stabbing in April gets freed less than a year later to commit yet another stabbing? But for various reasons—limited resources is a big one—the feds often decline to investigate or prosecute cases. The Times reported that, from 2000 to 2010, “as crime on some reservations surged by as much as 50 percent, the number of suspects on Indian lands being investigated for violent crime by United States attorneys declined by 3 percent.” When the feds decline to prosecute, the case is sometimes still brought in tribal court. Unlike the state and federal court systems, these tribal courts are not standardized. Some resemble traditional courtrooms; others utilize alternative methods of dispute resolution. The judges and attorneys do not always have formal legal training. Many courts depend on federal funding, which is meager: President Obama’s 2013 budget requested $24.6 million in total for the hundreds of tribal courts that exist today. Brown wouldn’t necessarily have received a much harsher sentence if she’d been prosecuted in federal court. (Federal sentencing guidelines recommend a 15- to 21-month sentence for a first-time offender convicted of aggravated assault.) It’s just that, as the Native American justice system currently stands, there are few systemic mechanisms for preventing situations from escalating from bad to worse. The feds lack the resources to prosecute every case, and the tribal courts lack the power to impose a punishment that fits the crime.